Michael has worked for over 10 years in the audio visual industry with a focus on information technology support and integration for cultural markets. Michael’s programming and design ability provides for exceptional digital signage and user interface design services. Michael provides specialist skills in IT/AV integration and develops innovative ways to control and monitor AV equipment and systems using non-traditional methods. Mannuel started his audio visual industry experience as a service and assembly engineer for a well-known Australian manufacturer of audio products and amplifiers. Since then, Mannuel has been providing installation and project management services for many large, high value projects in Australia and the USA. Mannuel has skills in engineering and custom product manufacturing. 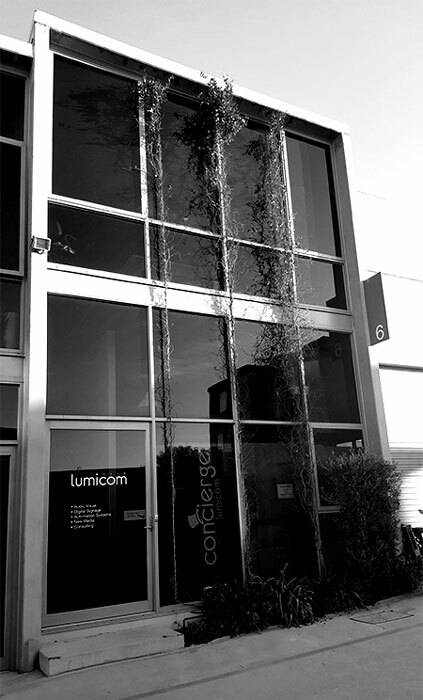 Mannuel heads up the projects and custom manufacturing team at Lumicom. Mannuel’s attention to detail and exceptional engineering skills provide an invaluable resource for quality services. Scott completed an aeronautical apprenticeship in 1991 with an award for Best 4th Year Apprentice. Since then he has worked in the audio visual industry while completing several electronic engineering qualifications including a Diploma of Electronics Engineering. Scott has extensive experience and qualifications in traditional AV control systems (Crestron, AMX, Extron) and digital signal processor (DSP) design (Biamp, Clearone). These skills, along with 20 years experience in AV technologies and excellent communication skills allows Lumicom to offer very high quality design and consultancy services. With a longstanding interest in automation, control and communication systems, Justin has been passionately developing software from a very early age. This was naturally followed by a degree in Computer Science and Mathematics, and a decade of involvement in exciting leading-edge control and digital media projects around the world. Justin strives to reduce complex customer requirements into simple, reliable systems. A great communicator and brilliant problem solver with a passion for his field, he bridges the technology gap between what the end users expect and the lines of code that make things happen.